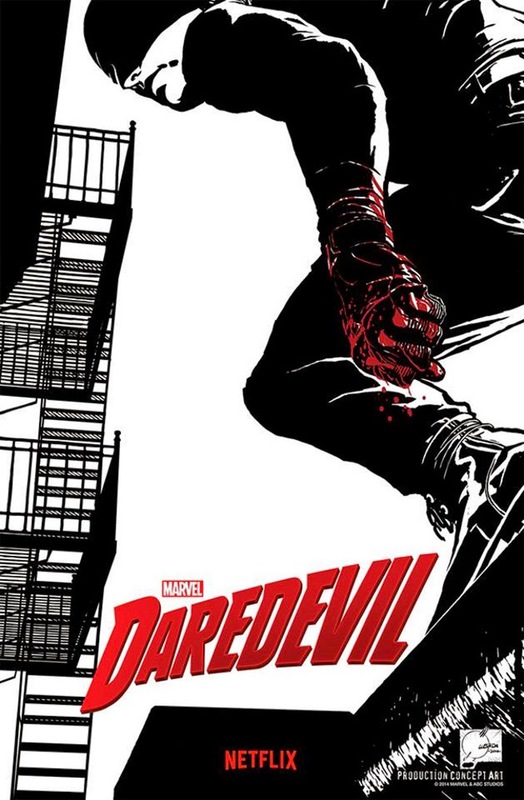 I haven't had a chance to finish the Netflix Daredevil series yet - as I type this, I've watched the first 7 episodes - so I don't have a complete reaction to it yet besides maybe a "Arrgghajsderbleereeeeee" sort of foaming at the mouth from all of the awesome so far. I also have a renewed interest in the character's comics past that I was only ever tangentially aware of at best because I had never read much Daredevil up until the Mark Waid run because all of the grim 'n gritty comics that came in the wake of the Miller stuff turned me off from ever wanting to check out most of the work that actually caused the boom in the first place, and the Bendis & Brubaker work just seemed even more bleak still. But I'm reconsidering all that and starting to go back. So far I really like it all, but I'm a different kind of fan and reader than I was back then (even during the comparatively recent Bendis/Brubaker years), so it may just be a time/age thing. But I digress, because what I really want to talk about is the show itself, and how it fits into the greater Marvel cinematic/TV picture. Back when the original slate of Marvel movie properties was announced and it was made clear that they would indeed all interconnect, a lot of people wondered how well they'd actually mesh in a non-comics environment. The comics lifers would happily accept it, sure, but would the non-comics "mainstream" be able to buy into a world where hi-tech armored suits could co-exist with giant rage monsters, pan-dimensional godlike beings, and a genetically-modified member of the Greatest Generation flash frozen like a bag of Birds Eye peas and thawed out today... and then, more audaciously, combined into a single movie? Obviously, they accepted that to the tune of billions of dollars, and have thrown even more disparate elements into the mix, like Vin Diesel trees and space raccoons. That success, which seemed so unlikely a year ago, makes us all hopeful that an incredible shrinking Paul Rudd will be similarly accepted (and based on that new trailer, I think they have a shot). I've always said that the secret of Marvel's Hollywood success in recent years is that they haven't been trying to make good superhero movies, it's that they're making good movies that happen to have superheroes in them. Daredevil, however, has made me rethink that a bit. That formula is still a part of the success, sure, but I think it's more than that. What makes the Marvel Cinematic (and TV) Universe work is the same thing that makes Lego or Tupperware work: it's modular. 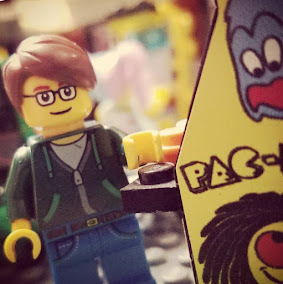 You can go buy every Lego set from a particular line or every container Tupperware makes and enjoy the complete experience, but you can also just pick up the individual kits/pieces that serve your particular needs and still be completely satisfied. The Marvel movies and TV shows require the exact same level of buy-in: only as much as you want or need. You can watch every single movie and show, follow the connections (both the obvious and the more subtle ones), and have a great experience watching an entire universe unfold, but if you only like a few or even just one of them, you can still have a completely satisfying experience. You can move on to explore the bigger picture if you want, or you can just be happy with, say, Guardians of the Galaxy and call it good. We shouldn't be surprised... it was the secret to their success in the comics world, after all. For all the talk about the interconnectedness of the Marvel Universe even going back to the earliest days, when Johnny Storm would read a comic about the Hulk or Thor would fly past a window or whatever, if you just wanted to read Amazing Spider-Man, you could just read Amazing Spider-Man and be perfectly happy. The journey to the larger experience was always an option, but it was never a requirement. We really should have had a little more faith in the non-comics audiences. I say we because I was just as guilty of this as anyone. Everyone is looking to go on a journey with their entertainment, they just don't want to be forced on one. Don't give people requirements, that feels like homework and no one likes homework; give them options and a path to follow, multiple paths, even. Indicate how the blind lawyer vigilante and the space raccoon may connect in a roundabout fashion, but let the audience decide whether or not they want to make those connections. Do that and they're more likely to give you their attention. And their money.